AQUA ONE Filtration Inc. Team of specialist in assembly, Installation & service of all type of standard & customized water purification and treatment systems. Our systems are designed for residential, commercial, industrial & laboratory use. We have installed hundreds of water Purification systems including small & large reverse osmosis water systems, water softeners, ultrafiltration, microfiltration, iron, Tennis, Hydrogen sulfide, Methane, arsenic, heavy metals, organic & inorganic matters, chemicals removal systems, di ionization, di gassed water systems, water distillers and other filtration & treatments systems since the start of our business. 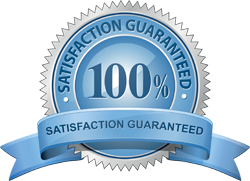 Our dedicated staff is able to solve any technical challenge, they are certified water specialists and certified installers. 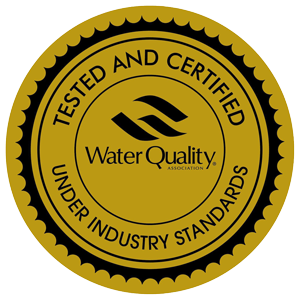 Our mission is quite simply to treat our customers as we would want to be treated by providing the purest and the healthiest water available and ensuring that we provide highest quality service and products in the water treatment industry. We hope that the few minutes you invested of your time to browse through our web site provided you with the information, comfort level and guide to any long-term water solution needs that you may have. The AQUA ONE Foundation dedicated to delivering safe & clean water to the world's neediest communities. 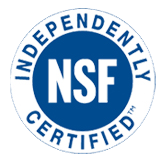 Professional water treatment experts founded this organization in 2012. Headquartered in Mississauga, Ontario, Canada with offices in Jeddah, Saudi Arabia, and in the cities of Quetta & Lahore, Pakistan, AQUA ONE Foundation’s goal is to raise public awareness, contribute technical assistance and fund programs to improve water quality and provide adequate water supply to schools, rural areas and other communities across developing nations worldwide. The AQUA ONE Foundation was set up with the exclusive purpose being to raise public awareness, provide technical assistance, support knowledge sharing, support technical innovation and research and facilitate the provision of humanitarian aid throughout the developing world, with the ultimate goal of providing safe, healthy, drinking water and adequate water supply in areas where it is not available or where accessibility of water quality & supply have been compromised. AQUA ONE Foundation is in the service of humanity to help make the world a better place, a healthier place, a safer place and ultimately a place of peace and prosperity. AQUA ONE Foundation will work with skilled contractors and members of the community install a solar water filtration system in a rural community near the city of Quetta, Pakistan in the later half of 2012. This self-contained water filtration system will store two thousand gallons of water in holding tanks and is solar-powered, providing maximum water output without relying on power & fuel that drives up costs. Prices of these water filtration system is approximately $30,000 USD each. Currently, AQUA ONE Foundation is planning with local NGO’s to provide clean & safe water to rural areas surrounding Lahore & Quetta, Pakistan. These projects will supply safe & clean water to more than 20000 adults & 10000 children.